With no houses nearby, Klongsanun concluded that the pup must have been abandoned. 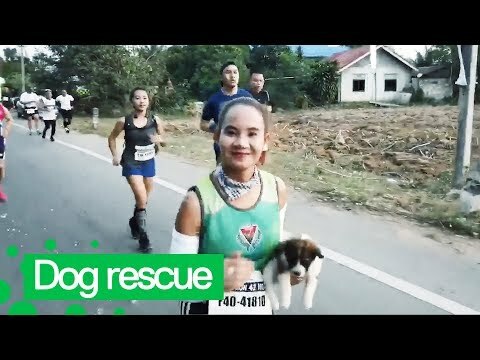 Rather than leaving it behind, she carried it for the next 19 miles, crossing the finish line with the pup in her arms. She told the press, “'It seemed to me that this little guy was lost. There were no houses, no other dogs, or no people around. So, I picked up the puppy, if only to take him out of the unsafe environment.